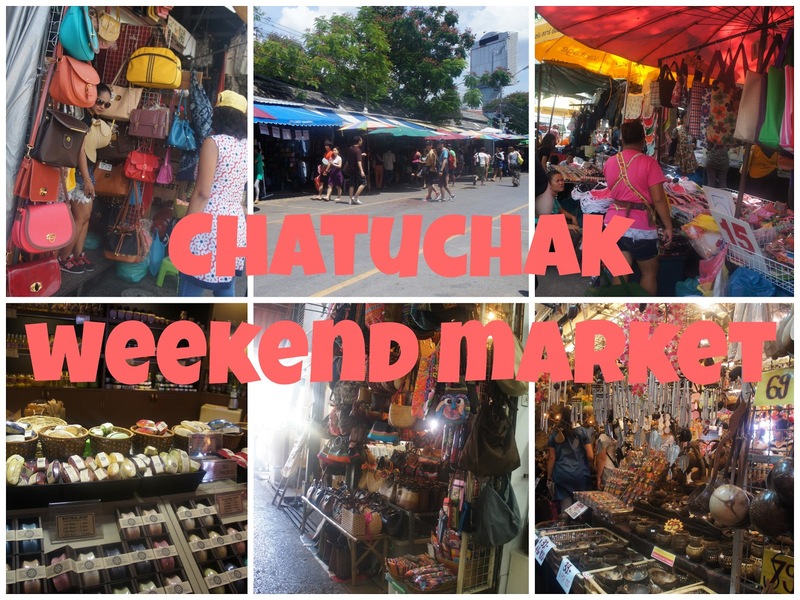 After our tour from Maeklong Railway Market and Damnoen Saduak Floating Market we headed straight to Chatuchak weekend market to shop. We especially asked Rat, our tour guide, to dropped us at Mo Chit sky station so that it would be easier for us to find our way out of the market. According to Rat there's also a subway around the area but I was not able to research it's stations and where it leads to so we opt to use the skytrain instead. At Chatuchak, I've noticed that the stalls are group together according to the type of items sold which I think is efficient for shoppers to locate. The market itself covers a very large land area with so many stalls and so many goods to choose from. I was so overwhelmed that I wasn't able to buy that much. From our landmark (Mo Chit sky train) we entered the market and immediately noticed the stalls lining up at the streets. The only problem I had with this market is that there are not much stalls selling food items to bring back to Singapore. Good thing we found one. I'm happy we did. 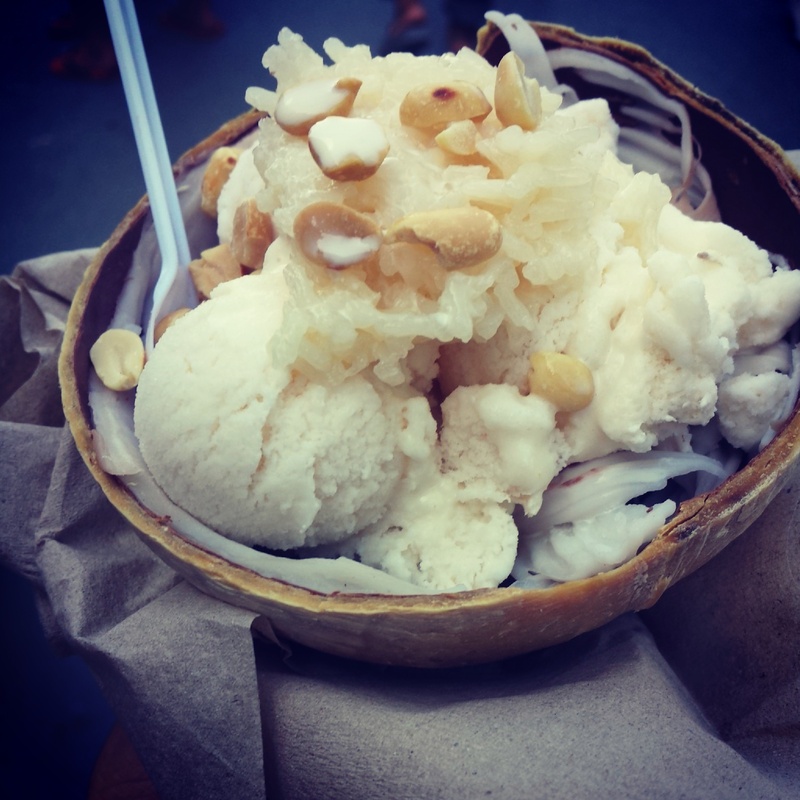 If you've read my post from Damnoen Saduak Floating Market you will remember that I've recommended the coconut ice cream. It's really a must try. And because I was craving when we went to Chatuchak, I've ordered a sticky rice ice cream from one of the vendors there but then it wasn't that good. :'( Sticky rice ice cream cost 35 THB. Moving on, there are also stalls who gave free tastes for new products. Of all the things that I would noticed, it is the ladies giving out free tastes that are in full makeup complete with false eyelashes. They are so pretty just like contestants from a beauty pageant. They did this under hot and humid weather conditions. I've nothing against it but instead it just fascinates me. I've also noticed this trend when we visited Damnoen Saduak Floating Market. And we saw cute puppies. Check them out below. My husband is not really into dogs but he has converted since we got married. Ahahaha!! In fact in the video you can hear him ask how much one puppy cost. I mean I would love to take one home too. They're so loveable. And finally we grew tired and decided to go back to our Hotel. 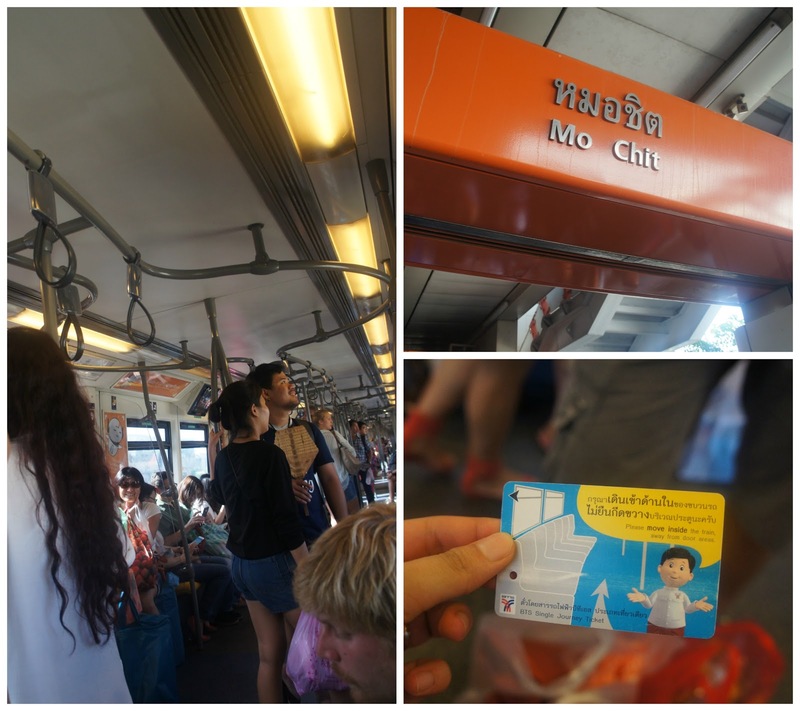 We took the sky train from Mo Chit station to Phaya Thai station. Fare cost 34 THB per pax. 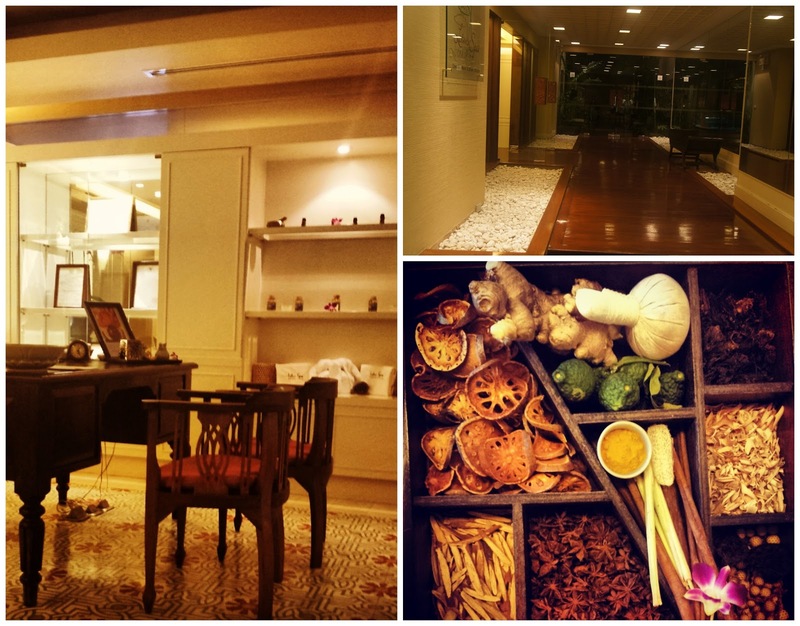 Since we still had time before heading to Baiyoke Sky Hotel for our dinner buffet at 7:30 we decided to do a massage. And of course it should be a massage that originated from Thailand which is the thai massage. Before the massage a man with a big body built (no muscles) entered the spa and arrogantly asked us with a loud voice (somewhat like shouting) where the lady at the reception was. I was stunned but I still manage to answer him with respect even though he didn't have one (no pun intented). What surprised me is that he didn't went ahead with the massage after a long discussion with the spa receptionist for the prices even if he had the spa cash voucher worth 500 THB. I know this because we also had one spa cash voucher which is part of the package we bought together with the hotel stay. Talk arrogant and walk arrogant yet cannot afford the massage? Sorry I'm not trying to judge but I just don't like how he treats people. He should walk the talk. Anyway, we decided to do a full body Thai massage which cost 1800++ exclusing 7% GST and 10% service Charge at Lotus Spa at the Sukosol Hotel. I find it very relaxing. In fact I was having a headache before that because of the heat however it left after the massage. I would highly recommend you to do it. So now we're ready to the Buffet Dinner at Baiyoke Sky. Saturday and Sunday is the best time to go because you have many varieties and options to choose from. That's why we specifically scheduled our visit on a Sunday because it only happens on a weekend. aww...such a beautiful post n pretty pics..
Great pictures the food sure does look good.